He said corruption is linked directly with the sate of economy. development. Quality education guarantees economic success,' he said. life in Armenia and to stamp it out people's mindsets must be changed. institutions, and share best practices and lessons learned. i second that opinion. nothing is gonna change, unless we do. For every corruptee there is a corrupter, be they domestic or foreign. For every bribee there is a briber, be they elitar or day laborer. Until that bureaucratic** "under the table" table is destroyed there will always be the “under the table”. An old joke goes. A woman was posing for a photographic portrait. She kept saying “takits@, takits@/տակիցը, տակիցը “ meaning “under the table” , so the photographer aimed his camera under her skirt. Anyone know what “կաշար/kashar/կաշարք/ kasharq means? We will go Language and see. **In yerevan bureaucrat is known as "chinovnik/չինովնիկ" as if it is a native Armenian word. Is it in reference to "chinese"? Edited by Arpa, 09 April 2011 - 11:00 AM. well said Arpa. shan glux@ hetevyali mej a taqnvats. hayastanum mardik amen varkyan 1. inqnahastatman 2. haci xndir en lutsum, u et amboghj@ ughordvum a 1.stov 2.qcelov 3.zorbayutyun anelov. anhnar e kasharakerutyun@ veracnel qani der mardu yes@/iqnutyun@ orva bolor jamerin harvatsi tak e. inqnahastatvelu, inqn iren pashpanelu hamar andz@ stipvats e darnal bri, kopit, sutasan. uv karoghanum' anum e. isk vo chi kroghanum, tsanotn u poghn e hamarum yes@ pashpanelu u inqnahastatvelu mijoc. amenic tarorinak@ [arden] grpacatsneri vijakn e. ays mardkanc(metsapativ murackanneri) mej axkati hoqekertvats@ aynqan e armatacats, vor vaxic drdvats sranq el en amen varkyan 1.poghi u 2.inqnahastatvelu masin mtatsum(el chem xosum dranc lakotneri u hastaqamak kananc masin). popoxutyun mtcnel@ arden jamanaki hramayakann e darcel.----te che shat shat ban enq korcnelu. barebaxtabar ka mi masa vor@ bolori ber@ iren userin barcats araj e gnum. cavoq vorak apahovogh ays mardkanc tiv@ gnalov aveli u aveli e poqranu. anharir a yerki@/joghovrdin pnovelu molutsqov tarvel, yerb andzamb gorts ches anum, u i hasiv @ndhanuri, andznakanin es gerakayutyun talis. nuynqan sxal e jaylami pes aprel@ yerb amboxi brnats ughin tanum e kortsanman. I think the time has arrived to boycott 'all armenia fund', and ask to U.S. government to stop sending money to Armenia. When Edmond Khudyan, an armenian businessman from US started the project on Mashtotc 33 back in 2005, he did not intent to finish the project himself. He was asked by a reputable person from Armenia to purchase Mashtotc 33's land for a few months, then he would be paid off with small profit and Vladislav Mangasaryan would continue the project. E. Khundyans involvment was supposed to be so called a financial alliance or an investment banking for a short period of time', instead, Edmond Khudyan was forced to become projects developer and take all the risks while V. Mangasaryan was secretly draining projects assets. Based on the contract in September of 2005, E. Khudyan would purchase project's land and V. Mangasaryan would obtain plans/permits and continue ongoin construction. V. Mangasaryan received an authorization to pre-sale units and forward 50% to E. Khudyan and does not make any effort to pay off the entire balance. Conflicts arise and V. Mangasaryan offers to get a loan from Adiotrans and pay off $1million from Khudyans balance. Khudyan had no other choice and agrees but during this process V.Mangasaryan pockets the $450,000 from Aviotrans $1,000,000 loan. Conflict arises and the reputable person gets involved, asking to give more time. Reputable person gets involved again in December 2006, again, nothing changes. A Law suit begins and Mangasaryan surrenders, asking, begging for more time. ...They directly and indirectly destroyed and forged documents from accounting and tax collection agency, fixed documents, created loans and liability to force the company to bankruptcy to avoid law suits and to steal remaining assets of the company. In a result, 2 lines have been placed against the company, 1 for none payment of the government taxes and another one by V. Mangasaryans company, V.M.G. Group, who is fighting to steal remaining $2million of the company assets which belongs to innocent homebuyers mostly from Diaspora. ...E. Khudyan has mailed several letters to government officials (including to President Serzh Sargsyan) but as of now, there is no response, no action and no result of any kind, yet E. Khudyan believes that the country is heading a right way a lot has changed in the past few years. That a corruption of this kind will not remain covered. Just will be served. These crook SOB's should be put in Khor Virap and put a lid on it until they rot in their feces. 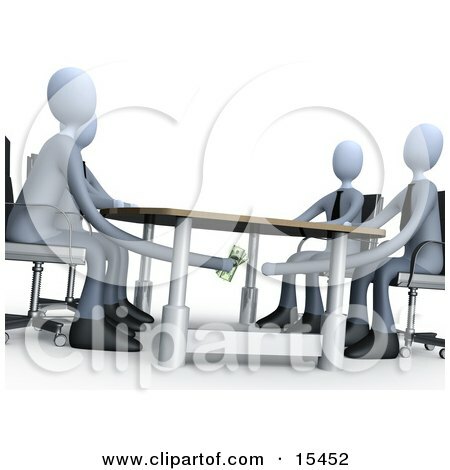 To give a bribe is a tradition in many oriental countries. say it isn't addressing corruption as systemic issue. corruption since it was set up in 2008.
so that they can put any suspicious-looking cases before parliament. the two sides had settled out of court. where someone's been held to account over an embezzlement case,"
done for their own sake." it was created, to 123rd, alongside Eritrea and Niger, in 2010.
the recovery of more than half a million US dollars. security service lost his job in December following a similar probe. whether this was deliberate embezzlement or just incompetence. Officials say findings like these have proved the chamber's worth. the public. That helps to minimise the risk of corruption growing." Chamber, which they accuse of operating double standards. to pay compensation for damages and that's the end of the matter,"
Armen Martirosyan, a member of parliament from the Heritage party said. not get involved in major corruption unless their superiors approved. responsibility, since they have the support of the highest officials,"
says the Control Chamber has failed to win public's confidence. Hasmik Hambardzumyan is a correspondent for the www.panorama.am site. [quote name='Louise Kiffer' date='11 April 2011 - 01:51 PM' timestamp='1302555076' post='280861']<br>[quote name='Arpa' date='09 April 2011 - 10:31 AM' timestamp='1302363107' post='280818']<br>For every corruptee there is a corrupter, be they domestic or foreign.<br>--------------------------------------<br><br>reply:<br>To give a bribe is a tradition in many oriental countries.<br>An Algerian woman went to see the teacher of her daughter to ask her to put her<br>daughter in an upper classroom. The teacher said it is not possible, she has not <br>got the pass mark. The woman tried to give her money, the teacher said that is not<br>done in France. The woman said to a friend : « may be she expected more money »<br>This is a true story.<br>[/quote]<br><br>that's why i always say, the change has to come from all sides. es noxkali vijak@ dprocic durs kyanqi mnacats volortnerum el e arka. tsnogh@ yerexayi cankutyun@ katarum e inch vor pahanj bavarareluc heto. kin@ amusnun mexanikoren kaxvatsutyan mej e pahum amusnakan partakanutyunneri harcum, qani der amusin@ ir cankutyunner@ chi katarel. bazmaporc kuyser@ der sharunakum en karmir xndzori arevtur@. byurokratakan aparati hamarya bolor ashxatoghner@ inch vor ban aknakalu dimac en irenc partakanutyunner@ katarum. mardik "azgayin joghovi" yerespoxan en darum irenc negh andznakan harcer@ lutselu hamar. yekeghecu spasavor@ aranc dram aknkaleu nuynisk dzerqi girq@ chi bacum. <br><br>indz tvum e mtavor mi xav petq e dzevavorvi vor ayd btacats vijakic bolorin durs hani. qani der chka arajnordi derum inch vor mek@, charchiutyun anel@ mez iroq hascnelu e inqnakortsanman. amena var apacuyc@ hay-turqakan ardzanagrutyunnern er. serj@ ira kashin prkelu hamar patrast er zohaberelu cankacats azgayin shah miayn te ger hzorner@ ira anorinakanutyunneri dimac achq pakein. Edited by Aratta-Kingdom, 12 April 2011 - 11:47 PM. leaders because their efforts ensure desirable results in elections. the branch on which he is now sitting, which dries the government tree. aggravating the danger of breaking the branch. as a branch they will break under their own weight. Serge Sargsyan but because Sargsyan would not change the situation. be a matter of mere physical salvation. prevail especially in judicial and electoral sectors. 80% of citizens thinks the corruption is a serious issue of Armenia. steps to fight corruption are taken up. challenges that need serious analyses. by the government give no results. dissolve the criminal and oligarchic economy? Sargsyan, Samvel Alexanyan and other similar oligarchs. themselves first ensuring them that these laws will never be enforced. Армянский олигарх Гагик Царукян уверен, что Армении необходимы инвестиции. Отчего же он так брутален с запрубежными инвесторами, вложившими деньги в армянскую экономику? Не потому ли, что Доди Гаго прежде всего бизнесмен,а не политик? Основанная на реальных фактах история обманутых инвесторов, вложивших деньги в экономику Армении. condemning a number of problems plaguing Armenia. over many aspects of life. lifestyles as "individuals suffering from an inferiority complex." oligarchs and not the average people should be organized. scope is against the nation. than to open up this potential. and economic monopolies, ensuring additional resources for this system. resources which weakens the principle of almightiness. unless it happens at the expense of others. by food they eat, clothes they wear and houses they live. Armenia - with giant steps backwards? Several German, Austrian and Swiss entrepreneurs and businessmen know Armenia from our investor trip. All participants were impressed by the people's friendliness, the country's potential and the beginnings there of an economic and democratic boom. Despite the recent war over its two breakaway republics, the boom in neighboring Georgia is long since tangible. The conditions in Armenia were similar to those in Georgia and the expectation was strong that Armenia would undergo similar developments. Unfortunately it didn't turn out that way. Despite the takeover of the Armenian stock market by NASDAQ OMX as well as other promising early signs, the reality looks quite different. Neither laws nor regulations but rather national self-interest is dictating commerce with foreign investors. We did not want to accept our arbitrary ouster; we were determined to fight and to initiate legal proceedings. Easier said than done. We spent countless days just searching for a lawyer and invested in more trips to Armenia for this purpose alone. We used all imaginable and unimaginable contacts in order to find a lawyer to represent us in this matter. It was utterly impossible: No Armenian lawyer was prepared to take on an official mandate against Multigroup (and against its powerful owner Gagik Tsarukyan). Those who initially agreed to take our case later rescinded their offers. We informed the Armenian embassy and the Armenian consulate in Germany about the case. And likewise, we notified authorities such as the Armenian Development Agency (ADA), whom we apprised of the situation back on July 5th, 2008, previous to taking any action. One of the actual roles of the ADA is to look after and assist foreign investors - but the reality is the direct opposite (see next page). The German ambassador in Yerevan also kindly intervened, sending a representative to speak with the Armenian prime minister about our case and then reporting back to us. Above all, emerging markets bear political and corporate-governance risks. All of us know this; it's part of the principle. But I have no desire to conceal that I am deeply disappointed about Armenia's chosen path. I once believed in Armenia's path to becoming a state governed by the rule of law, and brought many investors into the country. That is now history. What remains is a hypothetical democracy under whose guise national and personal interests dictate dealings with westerners like us. It is Armenia itself - nobody from outside - that is blocking the road to its own future. Old thinking once again wins the upper hand. What a world of difference to neighboring Georgia which, despite all the trouble along its way to democracy, is now a state of law, with an open heart onto Europe - and always giving a warm "welcome" to foreign investors. Edited by Mher100, 04 December 2011 - 03:29 AM. I wonder myself - why do we have such an organisation like the Armenian Development Agency (ADA) who is supposed to assist foreign investors - and instead of assisting they support our corrupted Armenian leaders in ripping foreign investors off, in ruining the country´s image. shadow economy defying the legislation, the dominance of oligopolies. No one is punished for economic crimes. the famous saying is that a thief's place is in prison. Everyone has a choice, and a lot of businessmen are not oligarchs. Ter-Petrosyan wanted to present them. help them get rid of the sense of guilt. atmosphere. Yes and some charity events with political overtones. much money earned with such difficulty on cheesy entertainment? this is what made the Arab world a place of pilgrimage for tourists. Ideas are the key brand in business. The imagination of our oligarchs is at the level of their stomachs. they do it by humiliating others. imagination from becoming oligarchs and senior government officials. authorities, because the Armenian authorities embody the corruption. civil, development, democratic and legal ones. exist in the U.S. or France or any other European country. else but substitution of concepts. in order to deprive those people of the possibility to be MPs. the issue and would punish those who break the law. is no fight against the serious corruption phenomenon. through the improvement of the law, we will eliminate the corruption. It is clear why the law enforcers do not deal with these issues. Otherwise, the system would collapse. his services to the country for being so gifted to have such a friend.